Yes U Can USA | Center For Adapted Sports, Fitness & Recreation – Enabling people with disabilities and limited mobility get active. The ability to move our bodies affects our performance, culture, and especially, the quality of our lives. At Yes U Can USA, if you are a child or adult with a disability, WE GET U MOVIN’! We have assisted hundreds of children and adults with disabilities by providing thousands of adapted sports, fitness, and recreational sessions as well as healthy-eating workshops. Our participants include individuals with MS, Traumatic Brain Injury‎, Stroke‎, Cancer, Heart Disease, Cerebral Palsy‎, Parkinson’s‎, and many more, and come from Delaware, Pennsylvania and Maryland. 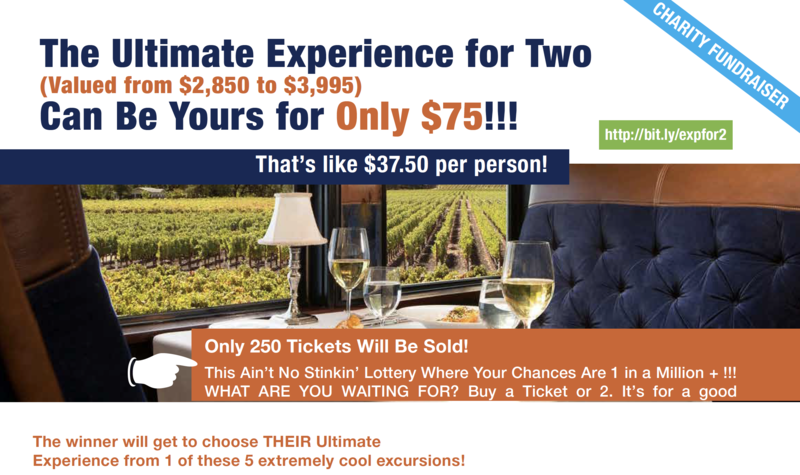 Winning ticket will be chosen April 25th 8:30pm at the BBC in Greenville, Delaware. You do not need to be present to win. 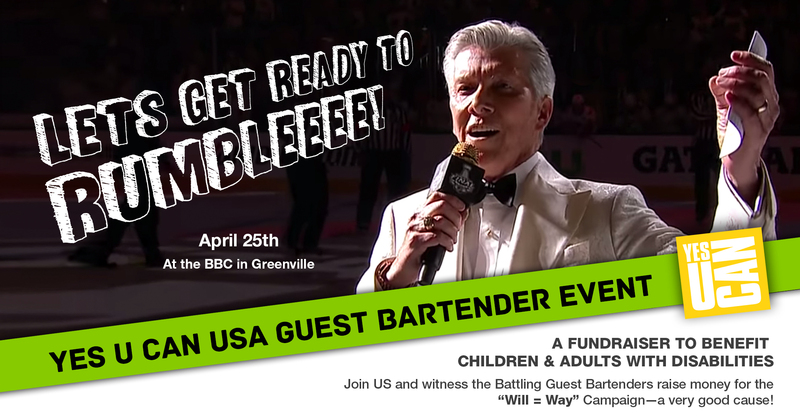 Join US and witness the Battling Guest Bartenders raise money for the “Will = Way” Campaign—a very good cause! HOW IT WORKS: The guest bartenders compete for prizes based on how much they collect in tips PRIOR TO THE EVENT, and that’s where you come in. Enter your tips online on “your” bartender’s fundraising page found under the FUNDRAISER LEADERBOARD. Or , you can send your “tips” by check payable to YES U CAN CORPORATION, 2504 Creekside Dr., Newark, DE 19711 with your bartender’s name(s) in the memo line. And don’t forget to come out and watch them battle on April 25th! 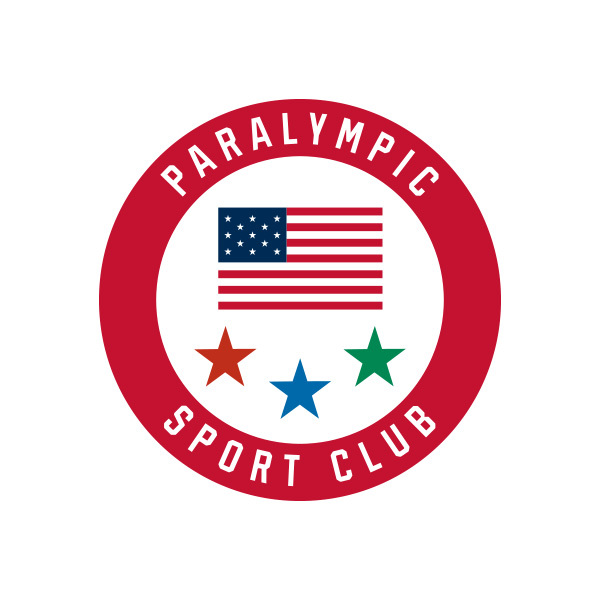 We Are An Official US Paralympic Sports Club! 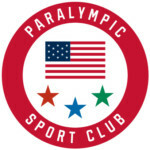 Created in 2007 by U.S. Paralympics, a division of the United States Olympic Committee, the community-based Paralympic Sport Club program involves youth and adults with physical and visual disabilities in physical activity and sports in their community, regardless of skill level. With 21 million+ physically disabled Americans, including thousands of military personnel, this is an important community need. Please sign up for Amazon Smile and choose Yes U Can USA. It is free to you. 5% of your purchases will go to Yes U Can USA! Thank you. Monday through Sunday. The schedule is flexible based on student/participant availability. This program is designed to encourage people with disabilities to participate in an individualized exercise and weight-training program incorporating strength training and conditioning. Exercise assistance is provided by student volunteers to participants on a 1:1 or 2:1 basis. A waiting list may be in effect. Year-round. Our newest program addition to Yes U Can USA! This program is in partnership with Bellevue State Park. Park fees apply. Now you can bike with your friends. Adapted trikes available for you and regular bicycles are available for use for able participants. Call Bellevue State Park Office for information(302) 761-6963. Bike rental hours are from 8:30 AM – 2:00 PM. Adapted trikes need to be returned to the state park office by 4:00 PM closing time. Maximum rental time: 2 hours. Reservations are permitted and suggested for adapted trikes. Regular bikes cannot be reserved. Bikes are available 1st come 1st serve for walk-in’s. $3 Suggested Rental Fee. Hand-Crank Trike: Our ‘hand-cranked’ trike is great for individuals who have limited or no lower body ability. Bike with your hands by simply rotating your arms and hands. 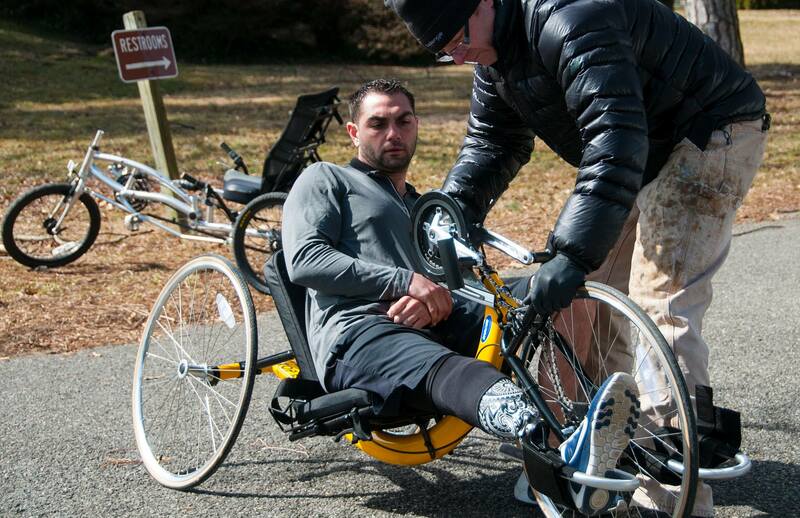 Three wheels (trike) can help those with balance issues as well. Yes U Can bike! Recumbent Trike: Our recumbent trike is a traditional pedal system using the lower body. Three wheels (trike) will help those with balance issues. A great way to get around the park! A group chair exercise class set to music and designed for people with limited mobility or disability who want to improve muscular strength, endurance and flexibility. Participants must have some upper body control and be 18 or older. Staff assistance is provided. Time: 10:30 AM – 11:30 AM. Every Wednesday 7:00 PM – 8:00 PM. Student volunteers provide 1:1 or 2:1 pool exercise assistance to individuals with varying disabilities. Fee: no fee for this Spring semester.